When deciding if exercising the face really works, there are several factors to consider. Firstly, let’s take a look at what the facial fitness experts say. 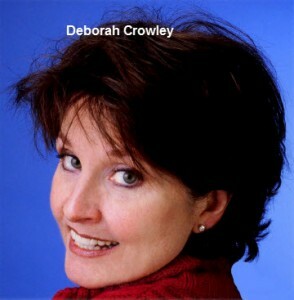 Deborah Crowley, who developed her FlexEffect program in the late seventies, insists that exercising the face “is not a magic bullet.” Deborah goes on to say that although face exercise won’t put every defect right, everyone, regardless of age, will benefit to some extent from facial fitness workouts. She suggest the people who gain most from facial building are those like herself, who start out early. She started exercising her own face after it became gaunt due to competitive body-building. She found that using resistance exercises on her face added fullness and a more youthful look. Louise Annette, author of Ageless If We Dare, used a variety of face exercises on and off without having exceptional results, which led her to develop her own program. Her “Ageless if We Dare” book is currently unavailable, but at the time of writing Louise is working on a new program which hopefully will be ready by the time you read this. If Louise’s “before and afters” are anything to go by, it is evident facial exercising does work; but some trial and error until you discover the right face exercise program may be involved. Cynthia Rowland, owner of Rejenuve, and creator of “Facial Magic” is emphatic in claiming non-surgical face exercises really work, but only of genuine help when all parts of the face are exercised, as opposed to trying to spot correct the parts of the face you feel are most needy. [Read more…] about Do Facial Exercises Work?